Princeville (Quebec), June 19, 2018 – With its dynamics, innovations, and exciting product line-up, Princecraft has been able, over the past few years, to improve its market share in North America. With an overall growth in the pontoon market, Princecraft needed to make significant adjustments to meet this strong demand and continue its momentum. To increase its production capacity, Princecraft invested approximately $850,000 last year to improve welding operations at the Pontoon Boat plant and make other major adjustments. Over the coming months, Princecraft will invest an additional $1.3 million to expand its existing facilities and improve operations. The projects will include redesigned production line layouts, new workstations, and upgraded equipment that incorporates advanced technologies. Princecraft is committed to creating a better workplace through more efficient work methods and ongoing employee involvement. “For its many changes, Princecraft is inspired by the philosophies of Lean Manufacturing and Six Sigma, which aim to increase a company’s performance by improving the overall quality of the product and the efficiency of its processes”, explained Steve Langlais, President. All of these changes and investments will result in new jobs and greater opportunities for Princecraft employees. “It is with great pride that Princecraft Boats has created 120 new jobs in the last 18 months, contributing to the economy of the region”, said Steve Langlais. 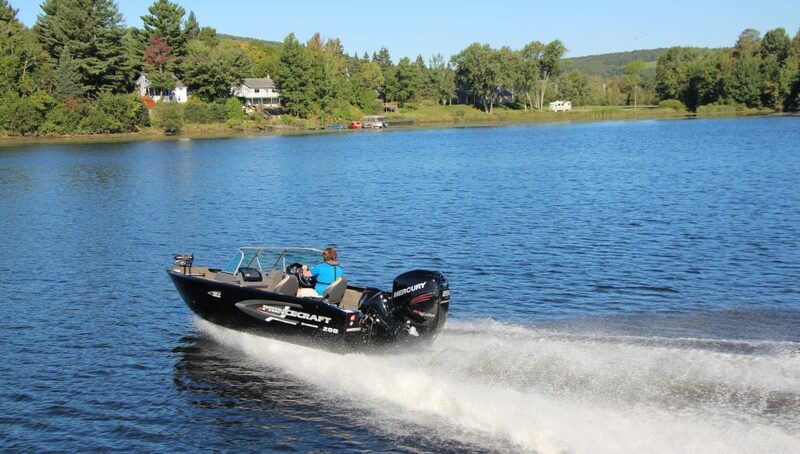 Since 1954, Princecraft Boats Inc., headquartered in Princeville, Quebec, Canada (owned by Brunswick Corporation), creates unparalleled experiences on the water for fishing and boating enthusiasts with “professionally rigged and ready” packages of aluminum fishing boats, pontoon boats, and deck boats. Its commitment is born out of a deeply rooted heritage of unmatched craftsmanship, incomparable performance and the promise of years of trouble-free boating. More anglers, families, and dealers than ever join the Princecraft family and create some of the best moments of their lives. For more information, visit http://www.princecraft.com.